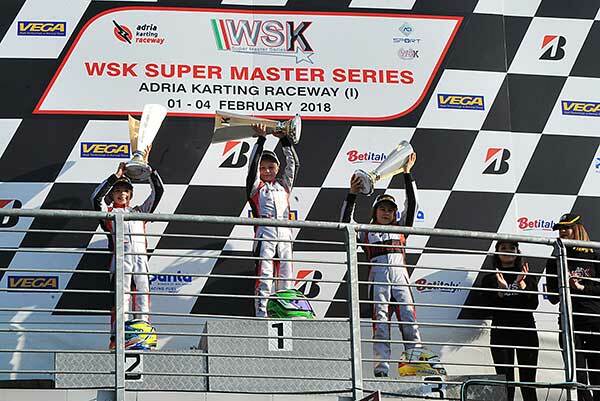 Marcos Flack put in another solid performance at the WSK Super Master Series round at Adria International on the weekend. 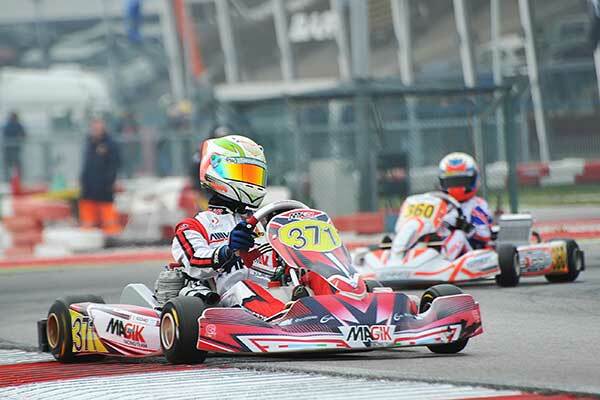 Competing in 60Mini, Marcos (Energy/TM) qualified 27th (of 88) and moved up to 18th in the rankings after heat results of 14-4-18-7. A solid 7th in pre-final B was followed by an excellent 9th in the final, however a 5-second penalty (front fairing infringement) dropped him to 18th. 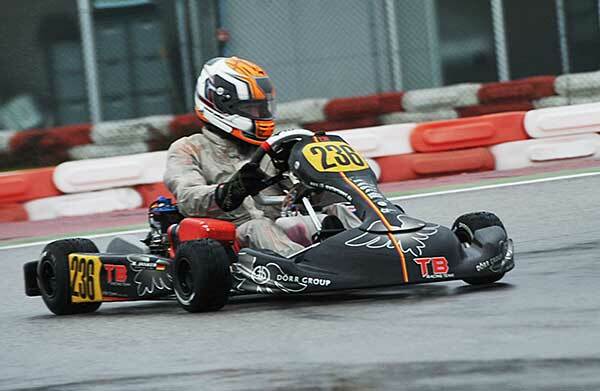 In KZ2, Joshua Fife (Energy/TM) qualified an excellent 6th in the 34-kart field, but wasn’t able to continue that form, registering 22-26-24 results to be ranked 25th. 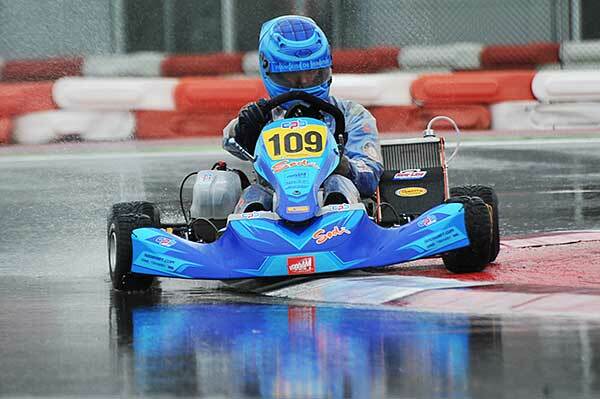 Much progress was made in the pre-final (14th) and he was up to 11th in the final, only to DNF on lap 9 after contact. 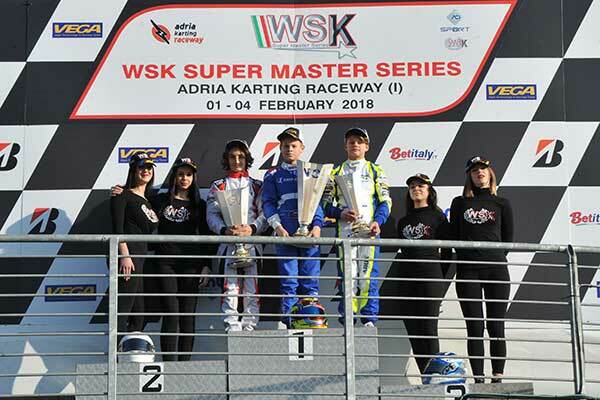 Different weather conditions, compared to the previous days, brought sun and mild temperatures at the Adria Karting Raceway for the conclusion of the first round of the WSK Super Master Series. What seen in the heats has been timely turned upside down today. 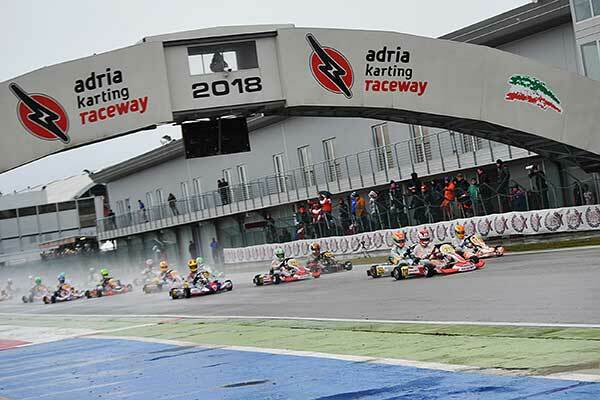 The outcome of qualifying heats had put forward the Spanish driver David Vidales (Tony Kart-Vortex-Bridgestone), but a hard-fought Final saw the German Hannes Janker (KR-Parilla) having the best of his rivals. 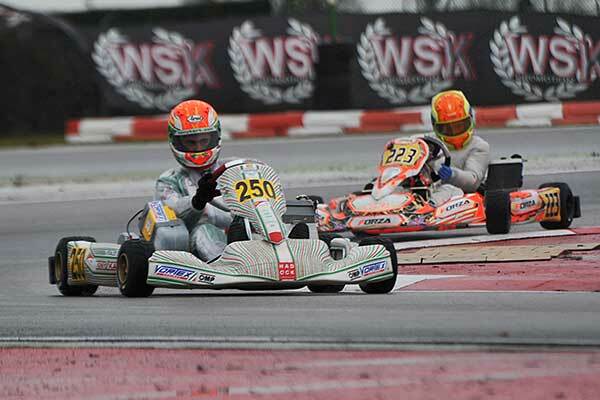 Vidales led the race early on, but was then challenged by the Italian Lorenzo Travisanutto (KR-Parilla), who took the lead for a few laps. Janker pushed hard though and got the lead, not leaving too much room to Travisanutto to bounce back. 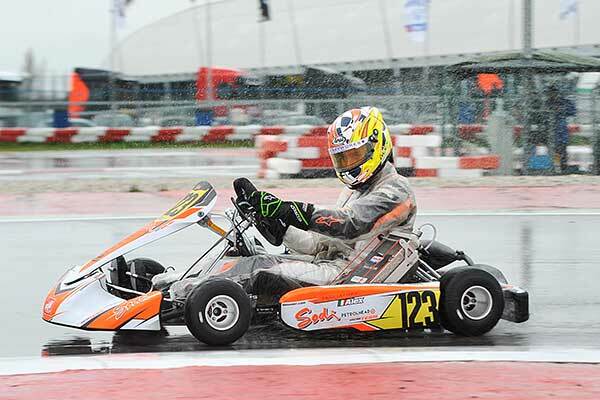 The third place went to a quick Nicklas Nielsen (Tony Kart-Vortex) from Denmark. 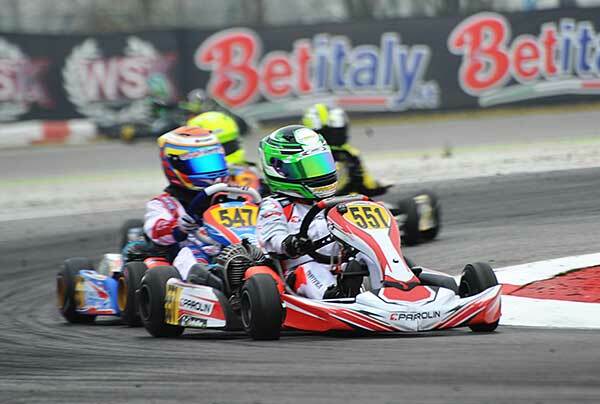 The Italian Alex Irlando put in a crescendo of results this weekend. 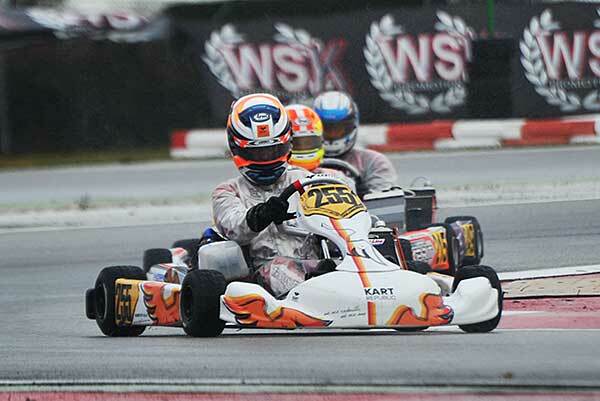 He installed himself in P2 in Prefinal, closing behind the French Adrien Renaudin (both on Sodi Kart-TM-Bridgestone). The driver from Locorotondo (Bari) had the best jump off the line later on in the Final, taking the lead and winning the race. 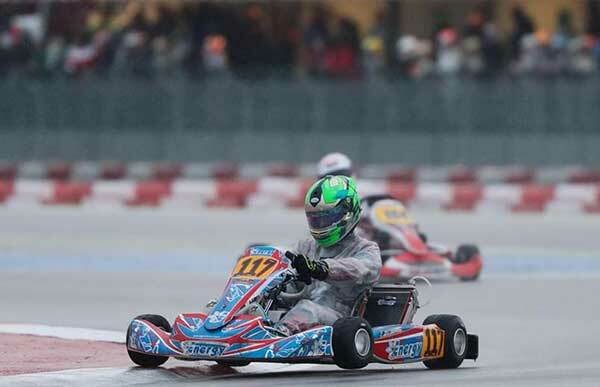 Behind him, Renaudin lost also the second place, which went to the Italian Leonardo Lorandi (Tony Kart-Vortex). 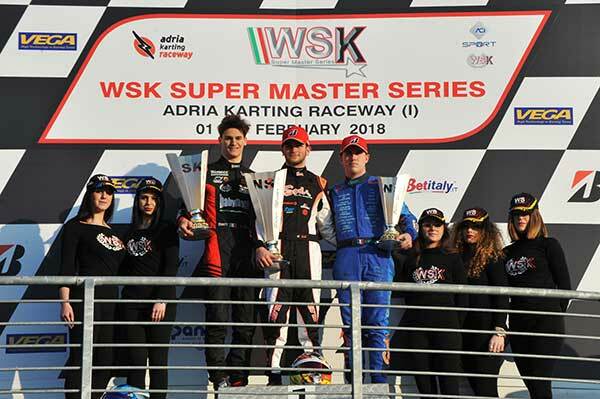 The French driver fended off his fellow-countryman Anthony Abbasse (Sodi-TM) though, regaining the third place that he had lost earlier. 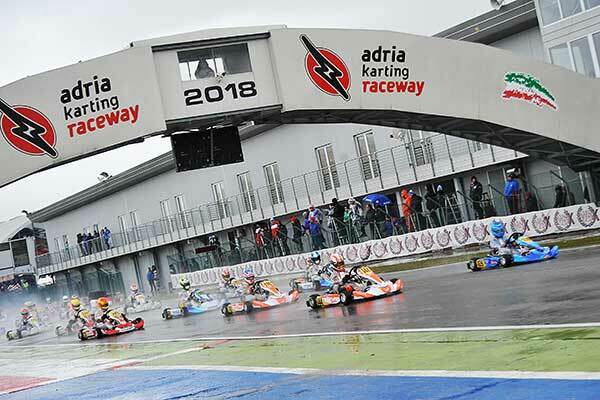 The Russian Smal (Tony Kart-Vortex-Vega) and the Italian Gabriele Minì (Parolin-Parilla) got away from the front row of the Final and challenged each other from lights to flag. 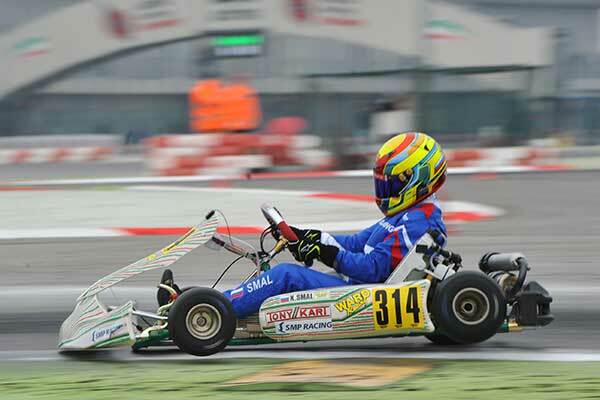 Minì led the race in the second half of the Final, but was overtaken by Smal in the closing lap, as the latter claimed the Final win. 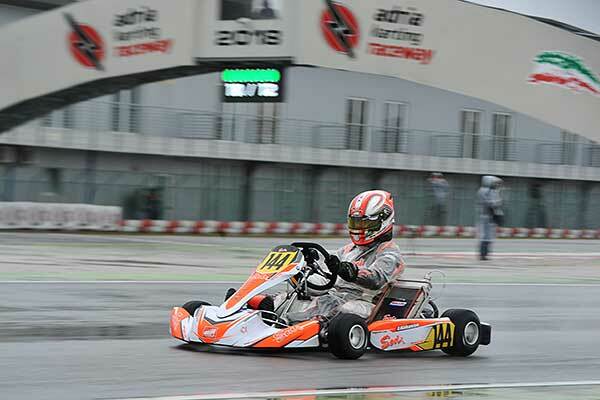 The Estonian driver Paul Aron (FA Kart-Vortex) had a positive day too, climbing up to P3 from the starting 7th spot of the grid. 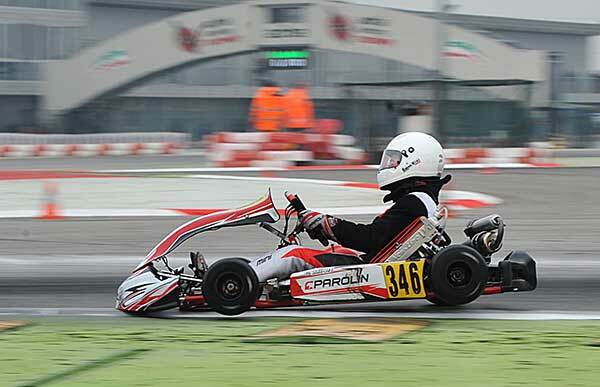 The Norwegian Martinius Stenshorne (Parolin-TM-Vega), who had some difficulties in qualifying heats, recovered well taking the win in Prefinal. 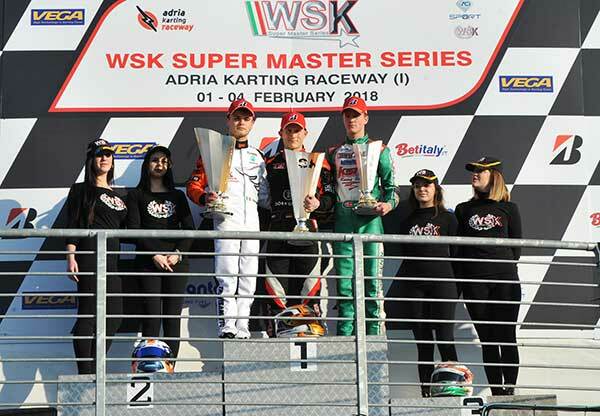 Started on pole, the Scandinavian driver won the Final without being challenged by the Pole Tymoteusz Kucharczyk nor by the Italian Brando Badoer (both on Parolin-TM). 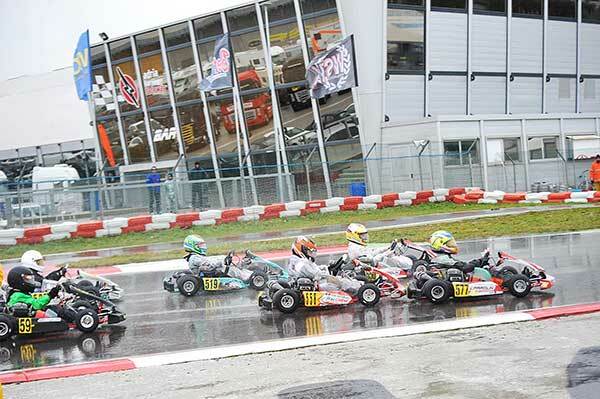 The two drivers rounded off the podium in this order after exchanging position in the battle.